Due to a long standing commitment to provide not only a prefect wedding and holiday experience but also seamless customer satisfaction, Sanya Marriott Resort & Spa truly reflects the Marriott Way – Always meeting and exceeding the expectations of our guests. Sanya Marriott Resort & Spa is honored to have received the award for the China’s Top 10 Best Resorts 2012 from Ctrip’s online travel community – lvping.com. With more than 1965 comments from registered users and up a 91% highly recommended rate from lvping.com, Sanya Marriott Resort shows once again why it is simply one of the most outstanding holiday resorts in China. One of the lvping users reviews stated: "Sanya Marriott Resort & Spa is located in the very center of Yalong Bay, the Ocean View Rooms offer amazing views of the warm blue ocean which really help you relax. The resort has a large swimming pool, as well as a long white sand private beach, the breakfast is delicious, the service of front desk and rooms are great! It’s really at an international five-star standard. We look forward to coming back soon”. 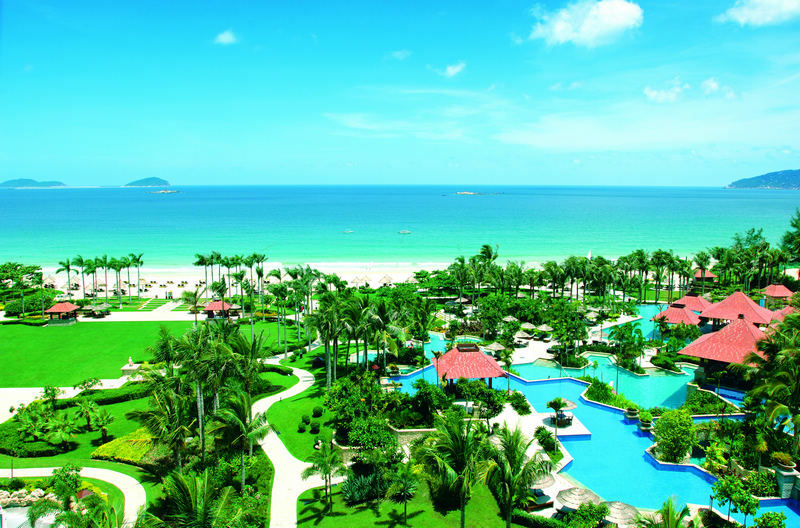 General Manager Mr. Edmund Ko commented: “Our resort is ideally situated on the very best beach in China, Yalong Bay. Our 450 meter long stretch of private pure white sand beach ensures complete peace and privacy while our excellent facilities and world class service provide a truly unforgettable experience. Receiving this award from the travel industry reinforces the fact that Sanya Marriott Resort & Spa is the place that you have always wanted to go and never wanted to leave”.